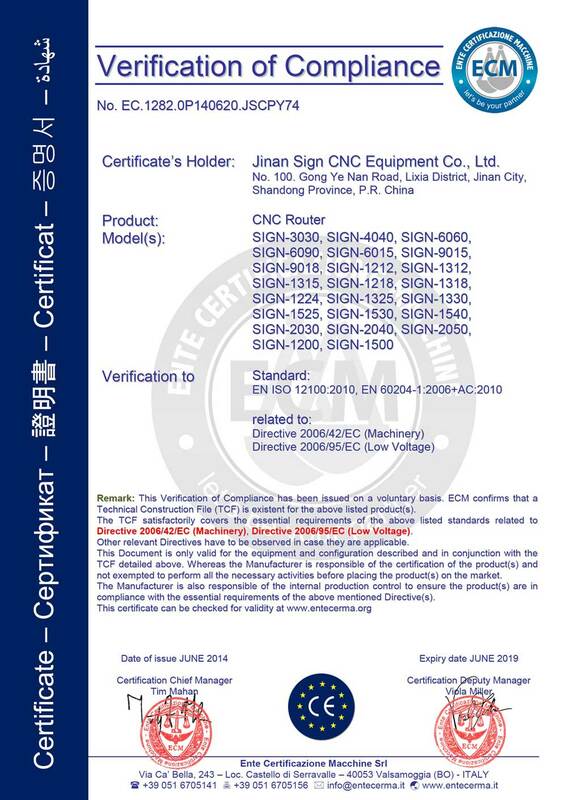 Company Overview - Jinan Sign CNC Equipment Co., Ltd.
6YRSJinan Sign CNC Equipment Co., Ltd.
Jinan Sign CNC Equipment Co., Ltd., located in the beautiful city of Jinan, is a high-tech enterprise, engaged in the research and development, production, sales of motion control system, mechanical and electrical integration products.Our products include advertising CNC router, woodworking CNC router, stone CNC router, embossment CNC router, CNC Laser engraving machine, CNC Laser cutting bed, CNC laser marking machine, CNC plasma cutting machine, cutting plotter and mould machine. Our products are widely used in advertising, gifts, electronic appliances, furniture manufacturing, organic glass, packaging and printing, all kinds of non-metal processing and cutting and other industries.We have a strong professional technical team to provide the best products and have experienced managers with the most perfect price system integration schemes for our customers. We have established business partnerships with many customers from Russia, Ukraine, the USA, Japan, South Korea, Canada, Italy, Turkey, Iran, Iraq, Egypt, Brazil, Pakistan, etc., for more than 50 countries.We have been experienced in exporting CNC machine for over 5 years. We are familiar with the different requirements from all kinds of lines. Meanwhile, we insist on the principle of "the best products, the most reasonable price, the maximum benefits for customers". We have prestigious fame in the industry business field.For all response and suggestion from you, we promise to give you a satisfactory reply in 12 hours.Looking forward to cooperating with you as soon as possible!